TCXPI Education Fund still needs your support. THE CHILDREN NEED YOUR SUPPORT! 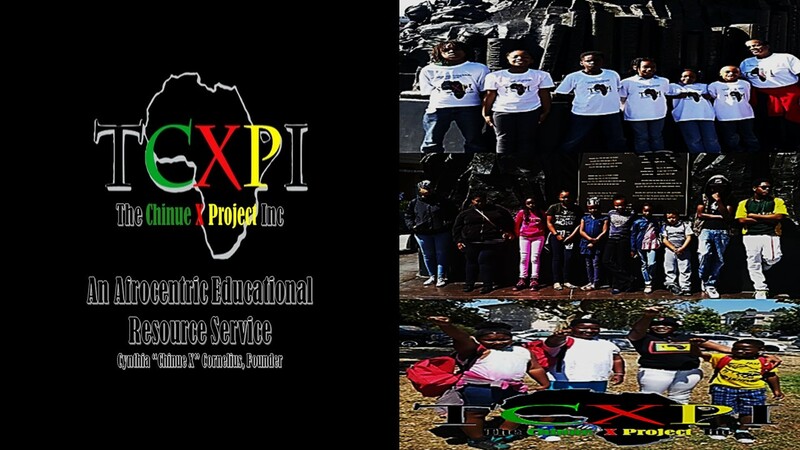 The Chinue X Project, Inc, TCXPI, is an Afrocentric Educational Resource Service has been established a 501(c)3 non-profit that brings awareness, through facilitated education, to Black History. American History that continues to be omitted in the nation's educational system. TCXPI is honored to introduce to young scholars and others who seek to learn, of the many contributions made by Black People since the beginning of time to World and Human Civilization. TCXPI believes that when Black children are centered in education that reflects their heritage and culture they can hold a sense of Self-Pride. When a Black child is taught history that reflects who they are in this world - history that looks like them, that speaks like them, that moves like them, that is them, they begin to possess Self-Worth, Self-Love, and Self-Respect. With these qualities, I believe, a child will become eager to learn while viewing themselves in the learning process. thANKH you to ALL my diligent donors and supporters who have donated, some more than once, TCXPI will be going to the Motherland, Accra Ghana, from March 3 to April 4 for Ghana Independence Day. While there I will be volunteering with Ghanaian children and youth. PLEASE DONATE TO TCXPI to make this project a SUCCESS. TCXPI - The Chinue X Project, Inc.